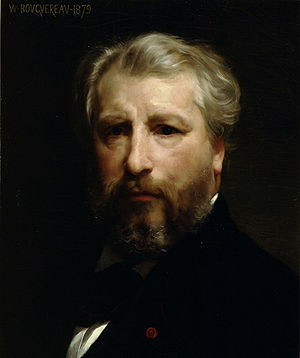 The image shown here is a self-portrait by William-Adolphe Bouguereau. He painted it for his beloved as a pledge of marriage (unbeknownst to his iron-fisted mother. She was the suspected cause of Bouguereau’s first wife’s untimely death; he didn’t marry his second until his mother died–of, we assume, natural causes). When this portrait was painted, in 1879, Bouguereau was France’s top portrait painter. While Monet and Renoir fiddled with Impressionism, Bouguereau’s services were in high demand, perhaps because he happily gave customers what they wanted–a little spin. This is illustrated by his own portrait, which depicts a gentlemanly, aristocratic-looking Member of the Establishment, rather than a paint-stained artist/mama’s boy. Portrait artists have always been torn between presenting truth and idealizing their subjects. In the Middle Ages and early Renaissance, when portraits were often used as a legal means of proving membership in a family through physical likeness, truth was important. It was less so when portraits were commissioned as remembrances or tokens of friendship. Then people realized that portraiture was a means of attaining immortality and promoting power and privilege. Subjects learned to exploit the medium; the artist became spin doctor. Lighting, pose, attitude, costume, background, accessories and colour were maneuvered according to the subject’s wishes; pose, costume and drapery reflected the subject’s social level. Size was everything. 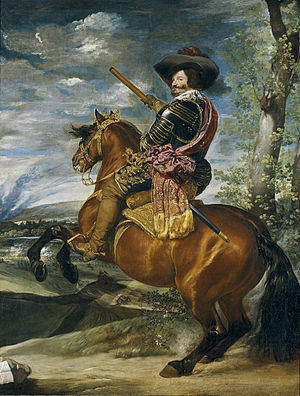 A king got a full-length portrait and a grandiose backdrop; his factotum made do with a smaller format and simple props. Less power, less presentational pomp. In 17th century Europe, portraits were heavily mannered and idealistic–everywhere except Holland; the ever-practical Dutchmen preferred less courtly, more realistic values. 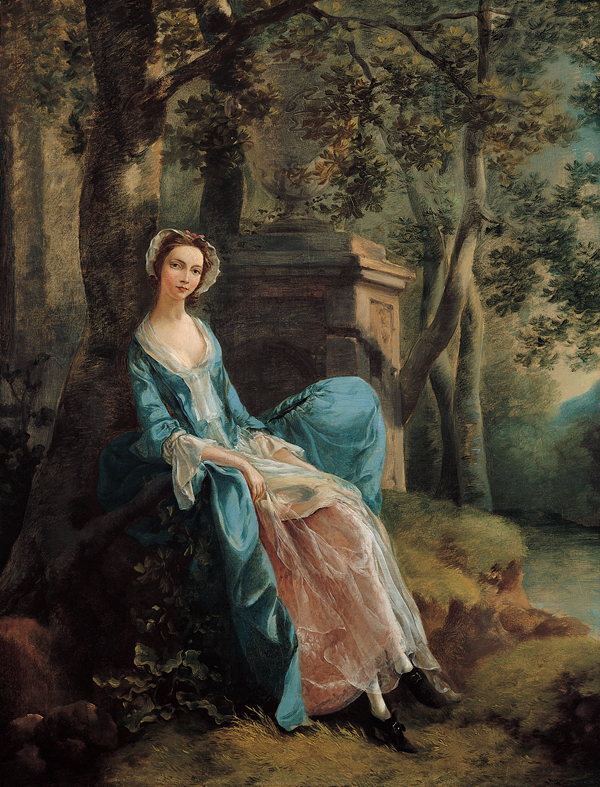 In the 18th century, British artists such as Reynolds and Gainsborough added nature, posing subjects in parks and glades. The French went heavy on wit and erudition as indicators of social superiority. Then, as the bourgeois encroached on the nobility, sensibility, virtue and sense of importance supplanted realism altogether. Photography could have meant the death of idealized portraiture. But, while photography is a more accurate and trustworthy medium, portrait painters remain busy. A painted portrait is still very much a status symbol and a most effective means of recording, enhancing and communicating power, in all its forms. This entry was posted in Art, Museum & Gallery Exhibits, Public Relations and tagged Cindy Sherman, Emily Carr, France, Holland, Impressionism, James Joyce, Middle Ages, Portrait, Portrait painting, Vancouver Art Gallery, William-Adolphe Bouguereau.